Bio: Kate recently seen in Channel 4's Catastrophe, Kate also played Helena in the BBC's new version of 'A Midsummer Nights Dream' - her performance was met with stunning reviews. 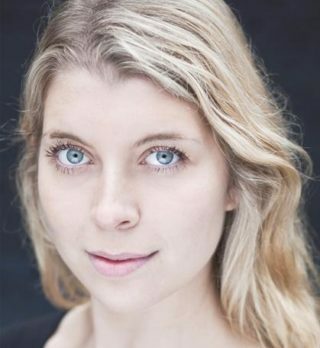 She made her West End debut as part of the National Youth Theatre REP company last year playing Dorian Gray and recently won Comedy Monologue Slam UK. Last year she was nominated for a Best Actress Offie Award for her performance in Three Short Beckett Plays. She trained at Trinity College Dublin and RADA. Video Games inc 'Squadron 42' and played Dr Lexi T'Parro & other characters in 'Mass Effect Andromeda'. Description: Husky, smooth and rich in tone, Kate's youthful voice stand out from the crowd. She makes everything sound effortless and classy! Kate is currently the voice of Sky Sports and voiced super villian 'Hela' in Lego Marvel Superheroes 2.